Aug 18th, 2018 03:28 PM no ha pagado desde hace 2 semanas, me pueden informar queocurre. 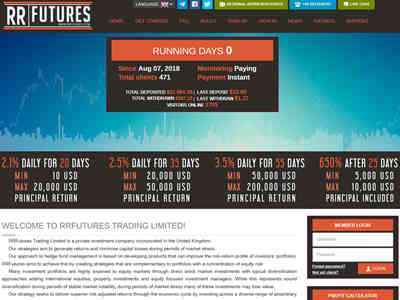 Aug 15th, 2018 08:38 AM this is copy of ddfutures.com. It's scam!!! Aug 10th, 2018 07:05 PM Today I received my withdrawal instantly to my Perfect Money account. Batch 224176167. See BeerMoneyForum for payment proof.